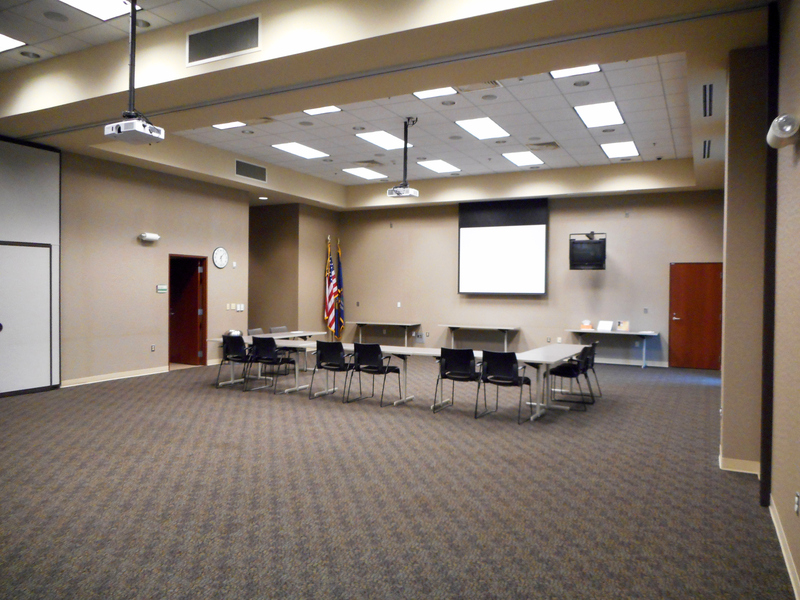 Community organizations and other groups are welcome to request space in one of our meeting rooms for their events. 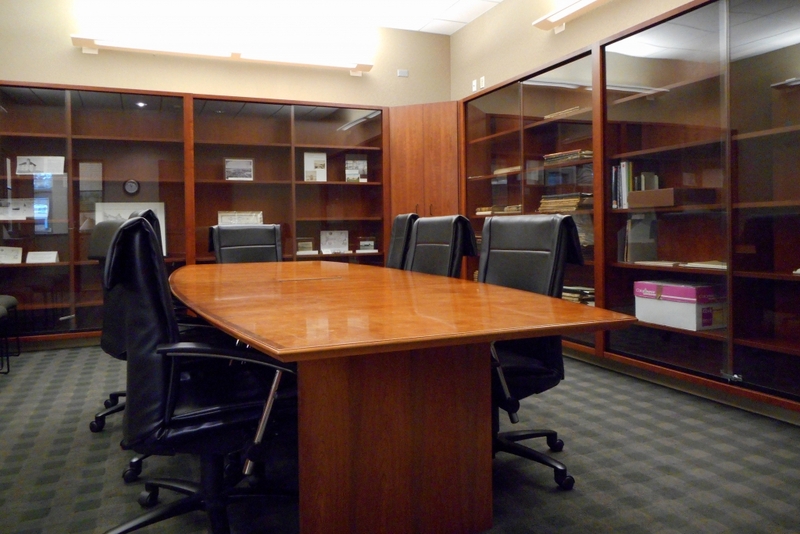 Meeting rooms are free of charge during library hours. To request use of a room, please complete the request form and return the meeting reservation form to the library. A member of the library staff will contact you to confirm the date and time of your meeting as well as any equipment needed. 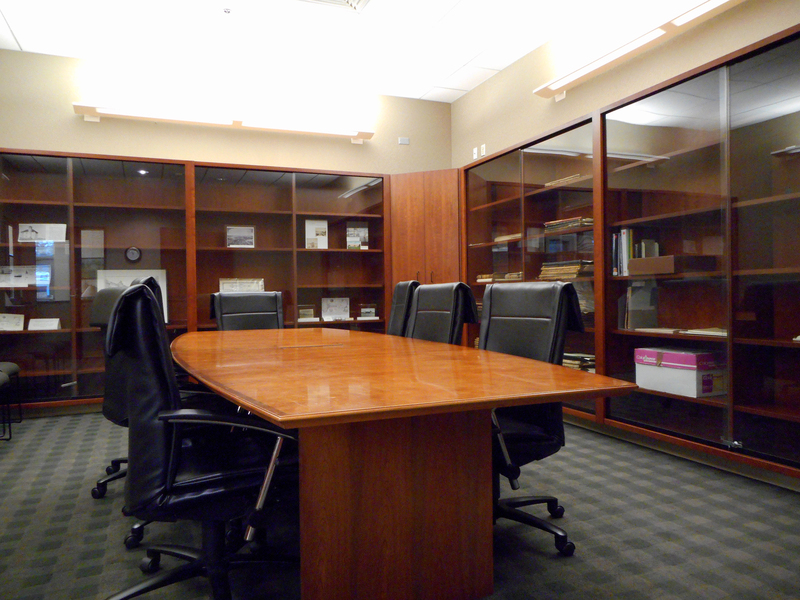 On a first-come-first-served basis, we have 2 private study rooms available for public use. Use of the study rooms is limited to 2 hours per person or group per day. 3 people maximum are allowed to use a study room at one time. Check out a study room by speaking with the checkout desk staff. The Baird Program Room is the largest gathering room at the library. It can fit up to 100 people comfortably or be divided into two separate rooms, each with its own audiovisual system. The room is accessed through the library’s lobby and features a small kitchenette for the preparation of light refreshments. Wired and wireless microphones as well as a telecoil loop for the hearing impaired can be requested when using this room. The Local History Room seats 8 around a conference table with room for a few extra chairs. The room is near the adult reference and nonfiction sections. A speakerphone for conference calls can be made available in this room. The Technology Lab is available for hands-on computer training and other meetings that require computer access for participants. The Lab has 1 instructor station and 6 PC work stations plus one iMac. The instructor station can be projected onto a 65” digital touch-enabled white board. All workstations can be given internet access and feature Microsoft Office, Adobe Photoshop Elements 12 & Adobe Premiere Elements 12.